Tony Romo during his PGA Tour debut at the 2018 Corales Puntacana Resort & Club Championship. 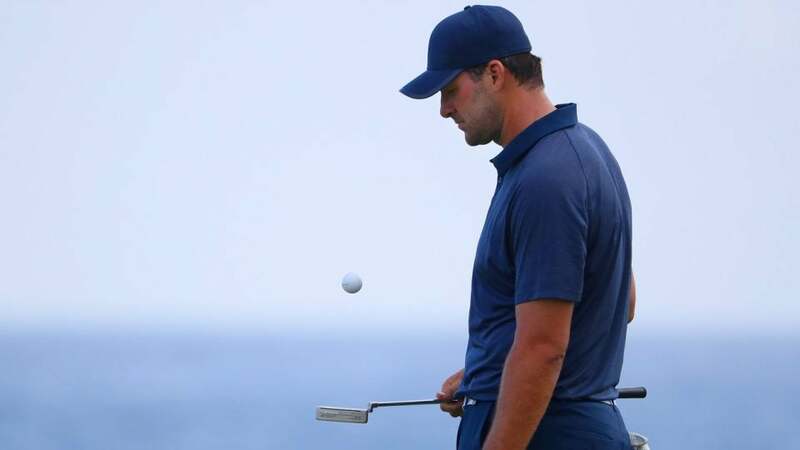 On Saturday morning the PGA Tour announced that Tony Romo had withdrawn from the 2019 AT&T Pebble Beach Pro-Am. Romo left California to attend the funeral of former Dallas Cowboy assistant coach Wade Wilson, who died on February 1st at the age of 60, according to CBS Sports broadcaster Jim Nantz, who reported the news on-air during the third round of the Pebble Pro-Am. Romo, a former Cowboys quarterback who is now the lead NFL color analyst for CBS Sports, was garnering a lot of attention at Pebble Beach prior to his WD. He and pro partner Jim Furyk had put together scores of 70 and 65 over the first two rounds. On Friday, he recorded the most unlikely birdie of the week when he hit an incredible shot from the carpet of a hospitality tent to within two feet. Romo is an experienced and accomplished golfer. He made his PGA Tour debut in March of last year at the Corales Puntacana Resort & Club Championship. But his debut didn’t go well. He went 77-82 over the first two rounds to finish last and miss the cut. Last summer, Romo won two consecutive amateur events: The Racine Tri-Course Amateur Championship in Wisconsin and the American Century Championship in Lake Tahoe. The former NFL star was a little busy the weekend prior to the Pebble Pro-Am. Romo called his first-ever Super Bowl alongside Jim Nantz.